"Multimodality as a discipline? Provocative thoughts and serious efforts" at the Centre for Multimodal Communication at the University of Southern Denmark, Odense, Denmark, 13th November 2018, 10-12 am. "Multimodality as a discipline? Provocative thoughts and serious efforts". Centre for Multimodal Communication, University of Southern Denmark, 13th November 2018, Odense, Denmark. Abstract . "Zum Potenzial diskurssemantischer Analysen für Mixed-Methods-Ansätze". GAL-Kongress 2018, 11-14 September 2018, Essen. "Digitale No-Gos? Vom schwierigen Einsatz von Bildern in Online-Diskursen". GAL-Kongress 2018, 11-14 September 2018, Essen. "Semantik in Comics. Zur medienlinguistischen und multimodalen Analyse visueller Narrative". 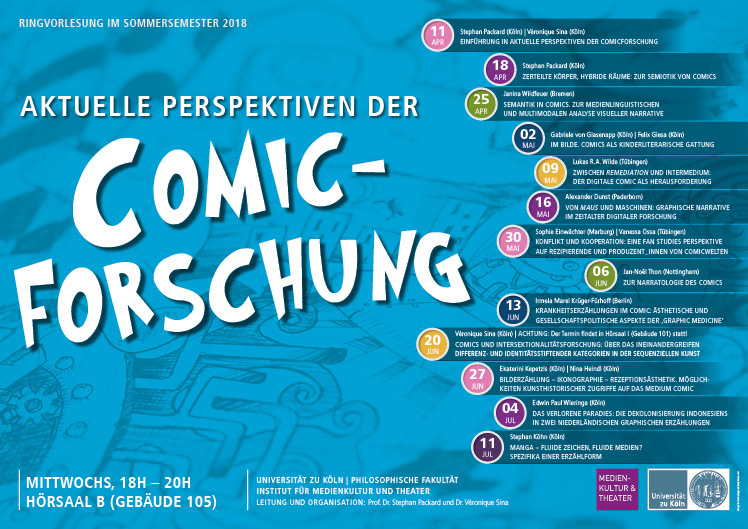 Ringvorlesung Aktuelle Perspektiven der Comicforschung", University of Cologne, 25 April 2018. "Semantik ohne Worte? Wie wir mit Diskurssemantik Bedeutung in ein Bild bekommen". Kolloquium "Bild und Narrativität: Theorien, Zugänge, offene Fragen", University of Tübingen, 22 March 2018. "Text oder Performance? Multimodal-­‐diskursanalytische Gedanken zu Performativität in Social Media". Praktiken medialer Transformationen. Übertragungen in und aus dem digitalen Raum. 09-10 December 2016, University of Hamburg. Program. "Zur Semantik des medialen Artefakts". Eröffnungstagung des wissenschaftlichen Netzwerks "Diskurse digital: Theorien, Methoden, Fallstudien". Mannheim, 15-16 November 2016. Poster Presentation. “Multimodal Film Analysis and Its Strata”. Invited Talk for the Language, Ideology and Power Research Group at Lancaster University, 19th of February 2016 (as part of an Erasmus staff exchange). “”Ich hätte jemanden fragen sollen” – Vom schwierigen Einsatz von Bildern in den Medien”. 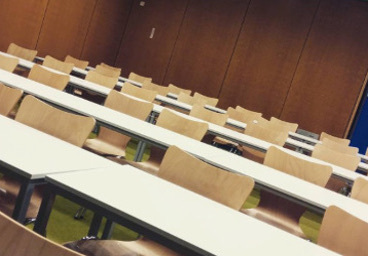 Seminar “Sprache in den Massenmedien”. Universität Kassel. 17. Dezember 2015. “Medienrealismus und/oder Terror-Narrative? Philologische Überlegungen zu aktuellen Bildwelten”. Göttinger philologisches Forum, 26 November 2015. 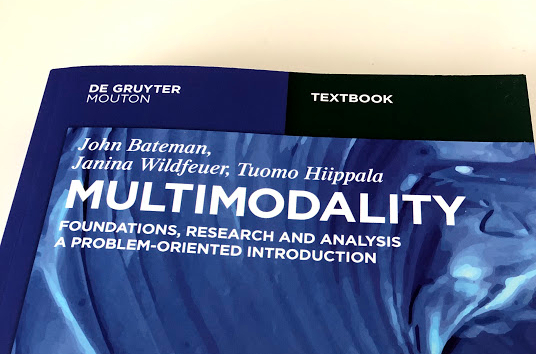 Workshop on Multimodality, together with John Bateman. University of Jyväskylä, Finland, 5./6. November 2015. “Discourse(s) of death. How the Internet changes a formerly postulated taboo.” Language in the Media 6, University of Hamburg, 7.-9. September 2015. “Multimodal Argumentation in Context. CCP and dynamic discourse semantics as new features for the study of argumentation”. 14th International Pragmatics Conference in Antwerp, Belgium, 26-31 July 2015. “Film Discourse Analysis and Its Strata – From Material to Interpretation”. Workshop at the 42nd International Systemic Functional Congress, Aachen, Germany, 27-31 July 2015. “Analyzing the Filmic Sublime. Aesthetic, Philosophical and Textual Perspectives“. SCSMI Annual Conference 2015, Birkbeck, University of London, 17-20 June 2015. “Multimodal De-Tabooing. Discursive Performances about Death as New Forms of Social Use Practices.” Multimodality and Cultural Change. Multimodality Conference University Agder, Kristiansand, Norway, 10-12 June 2015. “Let’s make it more formal! How logical forms can help us make multimodal meaning explicit”. MODE Conference in London: Multimodal Methodologies. 15-16 January 2015. “Wider die Dimensionalität von Comicbuchseiten oder: Warum es so schwierig ist, das Seitenlayout von Comics systematisch zu beschreiben.” Guest Lecture at the Institut für Medienkulturwissenschaft, University of Freiburg, December 2014.
together with Jihae Chung: “Das Erhabene im Comic!? Eine ästhetisch-philosophische Textanalyse von Mathieus 3 Sekunden. Medienwissenschaftliches Kolloquium, University of Hamburg, December 2014. “Diskurssemiotik = Diskurssemantik + multimodaler Text?” Talk at the 4. Jahrestagung des Netzwerks “Diskurs – interdisziplinär”. Institut für deutsche Sprache, Mannheim, 4.-6. Dezember 2014. “On talking ducks and dinosaurs – A multimodal analysis of funny creatures in internet memes.” Fifth international conference Critical Approaches to Discourse Analysis across Disciplines (CADAAD), Budapest, September 2014. “Towards the systematic analysis of comicbooks: annotations and interpretations.” The Hongkong Polytechnic University, English Department, 19 March 2014. “Musik in Träumen hören. Über die semiotische Rolle der Musik in Nolans Inception.” Together with Felix Engel. Medienwissenschaftliches Kolloquium, Bremen University, January 2014. “Multimodale Comic-Analyse – Annotationen und Interpretationen.” Together with John Bateman. Medienwissenschaftliches Kolloquium, Bremen University, January 2014. 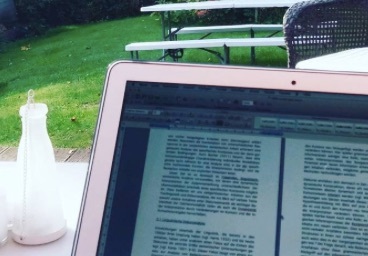 “Multimodal Methodologies? – Perspectives in Conflict.” 6. Nordwestdeutsches linguistisches Kolloquium, Jacobs University Bremen, 13 December 2013. “Dynamic Images in Context. Workshop on meaning construction in visual narratives”. The Art of Reception. A trans- and interdisciplinary conference at the University of Hamburg, November 28-30 2013. “Filmsemiotik und multimodale Filmanalyse”. Talk in the seminar “Mediensemiotik” at the University of Hamburg, 27 November 2013. “Film Discourse Interpretation.” Talk at the Hong Kong Polytechnic University, Department of English, October 2013. “Nach dem Film ist vor der Interpretation.  Überlegungen zu einer linguistischen Filmtextanalyse im Deutschunterricht”. Germanistentag Kiel, September 22th–25th 2013. “Zeichen im Film – Wie Bedeutung entsteht”. (engl: “Sings in Film – How Meaning is Made”) Guest Lecture at the Institut für Medienkulturwissenschaft, University of Freiburg, July 11th, 2013. “Trumpets and orange-coloured days — Inferences, associations and synaesthesia in filmic text”. Conference of the Society for Cognitive Studies of the Moving Image, Berlin, June 12 -15 2013. “Comics als visueller multimodaler Diskurs: ein Modell für Analyse und Interpretation“, Comic-Kolloquium, University of Hamburg, May 30th 2013. “Hearing Music in Dreams – Towards the semiotic role of music in Nolan’s Inception. Cognition and Poetics 2013, Osnabrück, April 25th-27th 2013. “Film Texture” – Workshop on the textuality of film. St. Andrews, Scotland, March 9th 2013. “Trompeten, Fanfaren und orangefarbene Tage – Zur Intersemiose in Die fabelhafte Welt der Amelie”. Bewegtbilder 2012. Film als multimodales Phänomen und Synkretismus. Filmbildwissenschaftliche Tagung in Kiel, December 6th-7th 2012. “The Logic of Film Discourse Interpretation. Towards a Formal Framework of Multimodal Film Analysis”. 6th International Conference on Multimodality, London, August 22nd-24th 2012. “More than Words: Diskurssemantische Überlegungen zur Analyse des Film als Text.” Linguistik zwischen Empirie und Theorie. Nachwuchstagung der Graduate School Empirical and Applied Linguistics an der Westfälischen Wilhelms-Universität Münster. September 26th-27th 2011. „Coherence in Film: Analysing the Logical Form of Multimodal Discourse”. Analysing Multimodal Discourse: Systemic Functional Linguistics meets Pragmatics. Loughborough University, England. September 1st-3rd 2011. “More than words: Zur multimodalen und intersemiotischen Bedeutungskonstruktion im filmischen Text”. Vortrag im Rahmen der Ringvorlesung “Film – Text – Diskurs” an der Universität Bremen, Summer 2011, wednesdays 6.15-8.00 pm. “Neugier. Assoziation. Erinnerung. Zur imaginativen Leistung der Trailer zum Film “Das weiße Band”.” Anschauen und Vorstellen. Gelenkte Imagination im Kino. International film scientific conference in Bremen, March 24th-27th 2011. “Surfen wie im Film!? Zur quasi-linearen Bedeutungskonstruktion in Online-Diskursen.” Online-Diskurse. Interdisziplinäre Tagung, TU Chemnitz, January 21st-22nd 2011. “Cross-modal realizations of meaning in film: a textual analysis”. 5th International Conference on Multimodality (5ICOM), December 1st-3rd 2010. Sydney, Australia. “Der neue interaktive Film. Zu hybriden Filmformen im Internet und der Adaption eines Genrebegriffs.” Hollywood Reloaded. Das Spiel mit Genrekonventionen nach der Jahrtausendwende. Tagung für Nachwuchswissenschaftler. Bremen University, September 18th-19th 2010. “Ein Text ist ein Text ist ein Text? Zur Problematik der Textualität multimodaler Artefakte und ihren Konsequenzen für die Textlinguistik.” XII. Kongress der Internationalen Vereinigung für Germanistik. July/August 2010. Warsawa, Poland. “A question of textuality? Structure and coherence in Henckel von Donnersmarck’s “The Lives of Others”.” MUST-3. The 3rd Finnish Symposium on Functional Linguistics and Multisemiotic Discourse Analysis. August 2009. Helsinki, Finland.